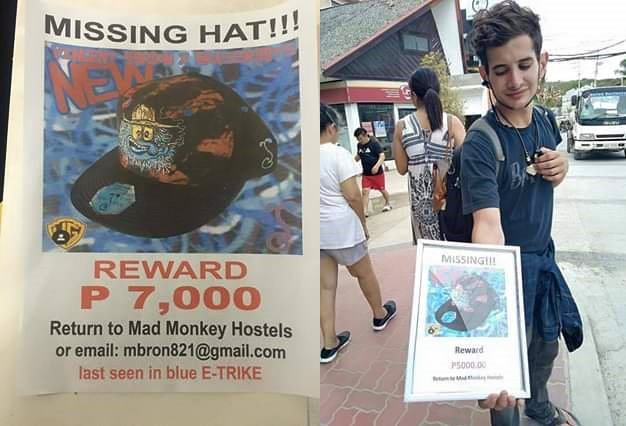 This young foreign man is willing to pay Php7000 in exchange of his lost cap. He was in the beautiful island of Boracay when he lost the memorable cap that was given to him by his late mother. If you found this cap, you may contact him to his email address, mbron821@gmail.com.